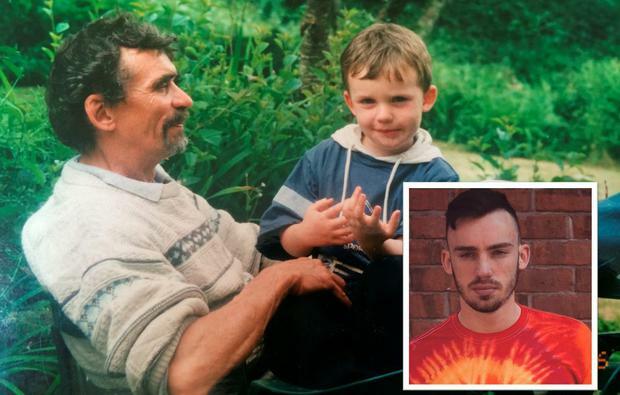 "but life has dealt me a different hand"
Karl Redmond and his father. Karl Redmond lost his father to cancer. Earlier this year I lost my father to lung cancer. At the age of 22, bright-eyed, bushy-tailed and seldom sober, I should have my dear ol’ Dad there with me to guide me along adulthood, to be with me through my ups and downs, to experience what life has to give, but as it may happen life had dealt us a different hand. Don’t get me wrong, cancer is a terrible, terrible thing, causing incredible amount of heartache and affecting pretty much everyone at one time or another, but I felt the direction that I wanted to go when writing was that of positivity. There are positives to be found in dire situations such as mine. There always is if you look hard enough. As I sat down to gather my thoughts (which anyone that has lost someone will know that even this is a difficult task) and ponder about the heart aching grief of bereavement, I quickly realised that grief is not a word I want to use, nor is it a subject that I want to place my emphasis on. Grief is a harsh word, it carries incalculable amounts of pain within those solitary five letters; so when I stopped to think of grief, I thought to myself “if anyone that has gone through similar times, or is currently going though such hardship, why would I want to dwell on the pain and sadness? Why would I want to project my negative feelings upon them, aren’t they going through enough?”. 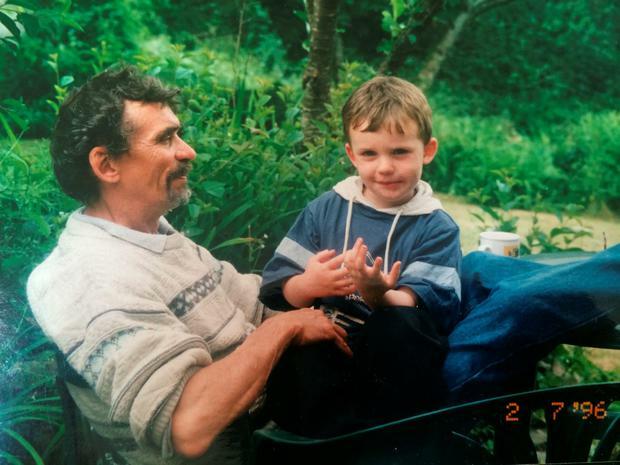 You see my Dad was the most positive, kind, friendly and caring person I’ve ever met, and my friends would say to me when the darkest days of the cancer came – “I do not understand how you can still remain so positive”, and I would reply “if you’ve ever met my Da you’d realise that all we can be is positive”. I firmly believe that in your mixed bag of morals, a passionate and profound sense of empathy is one of the most important. Without it, dealing with the whole process would have been far more difficult. It is tough though, incredibly tough. I wouldn’t wish it upon anyone in the world to have to go through seeing their closest loved ones become a shell of their former selves with the medication, chemotherapy, weight loss, pain and infection. This combined with constant bad news and hope quashed time and time again along with the aggressive nature of the condition, occupying the body like some dark and horrific being, hell bent on making things as difficult for everyone as possible. Throughout all of this I couldn’t help but think that I was appreciative for the time it gave me, to take on this daunting spectre with my Dad, to be there by his side and at is every need through every step of the process. I couldn’t help but think of the poor souls who are taken from their loved ones far too abruptly; who aren’t afforded the same chance to be perfect in the preparation, to live life knowing every little thing must be appreciated because it won’t always be here. For example, the most recent devastating earthquake in Nepal happened not too long before my father’s passing, and all I could do was think about those 9,000 or so human beings taken from this earth with no warning or preparation, tens of thousands of families in far worse positions than I. One morning while reading the front page of the newspaper after the earthquake my dad quipped to me – “why is it always those who have the least that are worst devastated?”. It was my Dad who equipped me with the empathy and positivity to face cancer toe to toe and come out winning. He may have been fighting a losing battle himself but he fought it with his characteristic resolve, passion and appreciation for those around him. When his final curtain approached, he knew that the sun sets one last time for everyone and yet the world keeps on spinning. “I’ve had a good run” he said to me rather blasé towards the end. He was right, he did. We both did. My Dad may not be around anymore but his legacy will live on. It will live on through myself, my brothers and the many he had influenced. It is a legacy of kindness and humanity, passionately so. Cancer may have taken his physical form, but it cannot take away what he has left us all with, and that’s what keeps me positive. "If we have chosen the position in life in which we can most of all work for mankind, no burdens can bow us down, because they are sacrifices for the benefit of all; then we shall experience no petty, limited, selfish joy, but our happiness will belong to millions, our deeds will live on quietly but perpetually at work, and over our ashes will be shed the hot tears of noble people." That was my aul’ fella.